Updating your kitchen will instantly allow you to incorporate the latest trends and modern appliances, transforming your property for the better. Whether it be to replace broken, faulty equipment and furniture or to simply enhance the style of the room, a renovation project could be beneficial. 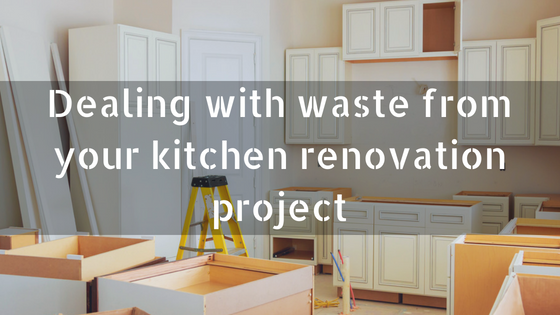 Kitchen renovation projects generate all kinds of waste, are you prepared for the volume and type of waste that will be produced when you install your brand new kitchen? Here at Adlington Skip Hire, we specialise in skip hire Preston, along with other destinations across the North West, essentially delivering a service that is tailored to the exact requirements of your project. Skip hire Preston is ideal if you’re looking for a suitable storage solution for waste, but there are several factors that you need to consider before loading everything in a skip. Any large, bulky items that are no longer required can cause too much of a hindrance when they are left on your driveway. Donating furniture that doesn’t suit the interior of your kitchen is always a good idea. If the furniture is still usable but just not wanted, a charitable donation is often your best bet! Choosing to donate tables and chairs will not only make it easier for you to free up space within your property but will ensure that they go to a new home- rather than being thrown away. Skip hire Wigan will enable you to dispose of any unwanted furniture too, offering sufficient storage space. To get the most out of our skips, we recommend breaking items up into smaller, more manageable sizes which will effectively save space in your skip, allowing you to squeeze more in. Renovating your kitchen – the perfect time to get rid of appliances that are sat collecting dust! Whether you’re looking to clear out electricals that are faulty or you’re in need of an upgrade, electrical appliances can impact on the quality and functionality of your kitchen. When renovating your kitchen, why not replace outdated appliances and make your kitchen more sophisticated in one go? Unfortunately, skip hire Wigan is not suitable for electrical waste, therefore you need to find a suitable alternative. Electrical items need to be disposed of carefully; anyone caught disposing of electricals inside their skip can expect to be handed a nasty fine for not adhering to skip hire regulations! Electricals that don’t work need to be taken to the recycling centre but for appliances that still work, we suggest donating them to a good cause (either family and friends or local charities). Needless to say, kitchen doors will take up far too much room inside your skip! Have you thought about donating them to those in need? To prevent unwanted doors and cabinets going to waste, try to find a sustainable alternative, and if you can’t donate them, consider recycling them! If your door is in excellent condition, it could be used elsewhere. Here at Adlington Skip Hire, we don’t only specialise in skip hire services, we also provide tipping facilities that allow you to dispose of waste that isn’t suitable for your skip. Depending on the work that’s being undertaken at your property, skip hire Chorley may seem like the best option. The skips that we provide for skip hire Chorley have some restrictions when it comes to loading them with waste. Certain items cannot be disposed of within our domestic skips, one of these being plasterboard and gypsum materials. If your kitchen walls need plastering, you need to bear in mind that your skip cannot be used to store any plasterboard or gypsum waste and you need to find an alternative disposal method. From knocking down walls to new installations, your kitchen renovation project could generate a significant amount of rubble and construction waste. Skip hire Bolton will simplify the process of removing waste from your property, allowing you to maintain a clean, safe environment. In choosing skip hire Bolton, you allow our team of professionals to take care of the waste that you throw in your skip. At Adlington Skips, we aim to recycle 90% of the waste that is found within any of the skips that we provide! To fit more inside your skip, you may want to start with large, light items at the bottom and smaller, heavy materials at the top. The denser materials will flatten the lighter materials, allowing you to utilise the space inside your skip effectively. Adding a lick of paint to your kitchen walls is one of the easiest things to do when renovating your kitchen. Whether you’re looking to incorporate a contemporary colour scheme or looking to keep it simple, paint can make your kitchen more stylish and eye-catching. Although painting is so easy to do, think about what you’re going to do with the empty paint cans. Paint cans and aerosols are both classified as hazardous materials that require careful disposal. Hazardous waste is prohibited from any of the skips that we provide for skip hire Leyland, so please don’t be tempted to throw them in the skip with the rest of the waste from your kitchen renovation! With skip hire Leyland, we don’t accept hazardous waste because they require utmost care when it comes to disposal. Combining hazardous materials like paint cans with general waste will compromise the recyclability of the contents of your skip. If you’re unsure what waste from your kitchen renovation project can be thrown inside our skips, feel free to give us a call on 01257 474 747 today.